Posted November 18th, 2016 by tstreetroadhouse & filed under News. 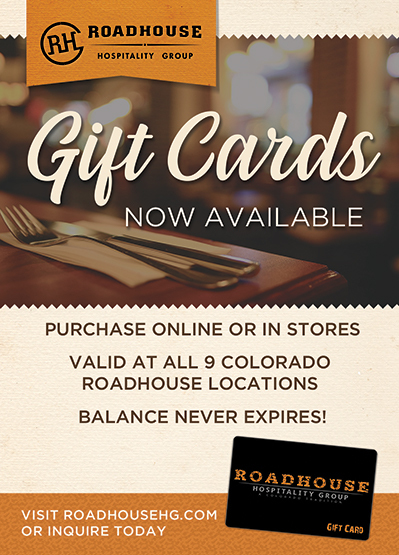 Tstreet Roadhouse is real well-known for their happy hour and dinner offerings. But brunch? Not so much, which is perplexing. Settled in the heart of the live/work/shop/eat Belmar complex, there are plenty of people right there, ready to roll out of bed and into their favorite neighborhood hangout. They already know how good the food is, I suppose, so that leaves the rest of us, non-Belmarrites to discover it. With a sleek but comfy atmosphere, Tstreet Roadhouse aims to load you up with creative combinations of hearty food and full flavors. 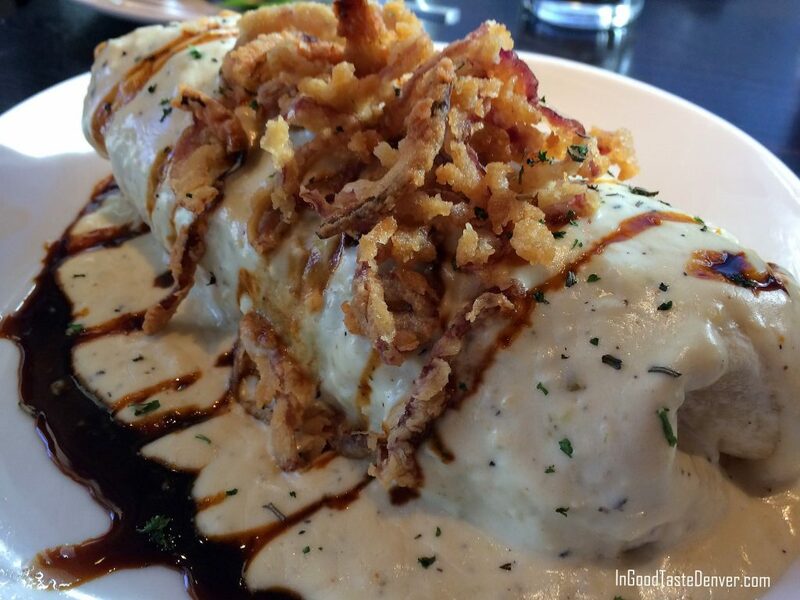 Take, for instance, the Roadhouse Burrito ($10) that combines braised beef short rib, scrambled eggs, caramelized onions and hashbrowns in a tortilla, topped with jalapeno-white cheddar cream sauce, honey-chipotle molasses and a topping of crispy onions. It sounds like it’s a bit much but it’s so good. That spicy white cheddar cream sauce is novel!